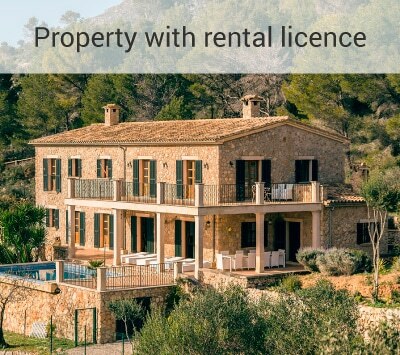 If you want to buy or rent a property on Mallorca, there are numerous terms that do not have the same meaning in the UK or are understood differently. This is particularly the case when referring to the popular finca. Here are some typical properties on Mallorca – and a short Spanish lesson. Apartment: in Spanish also known as a “piso, is located in a multi-family building (vivienda plurifamiliar). The purchaser of this property also acquires a proportional share in the community (e.g a share of the garden and the pool area) and therefore has to participate in the community’s household costs (“comunidades”) (gastos de comunidad). Top floor apartments are usually referred to as áticos or penthouses. Those wishing to purchase apartments currently favour Puerto Andratx, Santa Ponsa and generally the coastal strip southwest of Puerto Andratx to Palma. 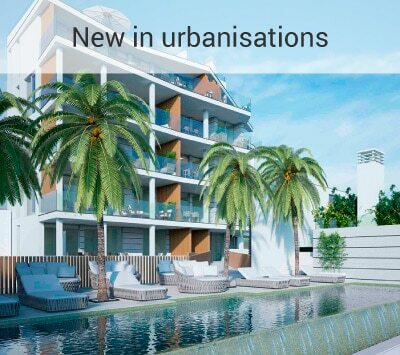 The city of Palma de Mallorca has a special appeal for the international public due to the trendy neighbourhoods of Santa Catalina, La Lonja, Calatrava and Portixol. House: On Majorca there are numerous types of houses. The detached house is the casa aislada. A terraced house (casa adosada) usually has two floors and its own garden. Terraced houses are often found in residential complexes (complejos residenciales). A village house (casa de pueblo) boasts Mallorcan charm and is similar to the terraced house, but as the name indicates is usually situated in a village or a small town and is, generally speaking, an older building with typical style elements. In Majorca the manor house is a special case among houses: these are stately properties with a lot of land, which formerly belonged to great landowners. On Majorca, there are still a few hundred of these large estates (possessions). On Mallorca, certain areas have evolved into sought-after residential areas dominated by villas, such as in the southwest of the island in Puerto Andratx, Son Vida, Bendinat, Costa d’en ‘Blanes or the rural area of Sont Font in Calvia. The term ‘villa’ is internationally recognised. The Mallorquin understands the same whether the word villa or chalet is used. What makes a real estate property a villa? There is no concrete definition. A villa usually has a spacious, landscaped plot, a private pool and an attractive view, whether it is a sea view or views of the surrounding landscape and sometimes has direct sea access. 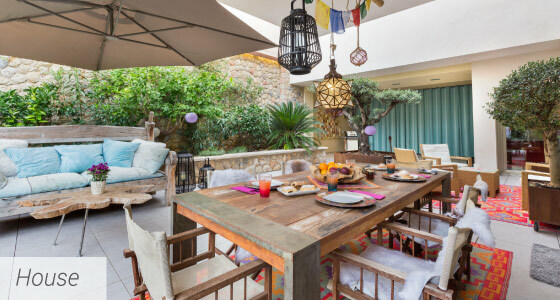 Because of Mallorca’s extensive popularity many villas have an interesting history, as people from the world of film and television, the arts, economy and politics have lived there or live in the neighbourhood. This is the most popular and most requested property in Mallorca. What it refers to is usually a farmhouse, a country house or country estate. Spaniards generally speak of a finca, if they refer a country house or even an undeveloped rural property. Foreigners regard the typical finca, as being a house in the countryside with a large amount of land, sometimes with its own well and even its own power supply. In the southwest of the island, the typical and charming Mallorcan finca is found in the valleys around the villages of Andratx, in the surrounding countryside of the villages of Calvia and Capdella, and in Puntiró close to Palma. In contrast to the centre of the island, these regions offer the unbeatable advantage of being able to combine quiet rural life with proximity to the sea. Buying your own property in Majorca is a luxurious investment but not only is it a case of investing in a property but also in a lifestyle. Minkner & Partner appeals to a market of interested persons who, because of their professional success can afford this luxury, and the name “Minkner & Partner” is generally associated with high-quality properties in the upper price segment. 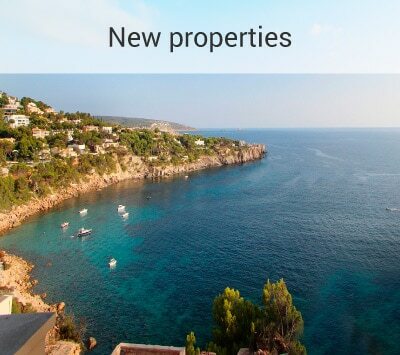 We have 1,200 or more Mallorcan real estate properties in our portfolio – and no matter in which price segment they fall – all are luxury real estate. Our current “Homepages” catalogue is the essence of this: you will find a selection of exclusive properties, which are unique due to their exceptional location on Mallorca and their unique characteristics. Download the latest edition of „Homepages 2018” here! Do you own a property and want to sell it? If you want to sell your real estate in Mallorca, then you are in the best hands with Minkner & Partner. As a long-standing real estate agent in Mallorca, we not only have profound market knowledge, but also an extensive and solvent clientele ready to buy. In this respect we offer you ideal conditions for a quick sale of your Mallorca property with professional handling. 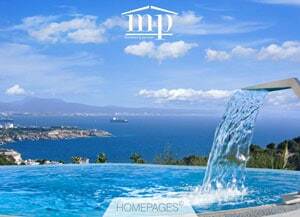 Mallorca real estate for sale with M & P.
As you know, I run a large company with internationally trained managers. That’s why I have high expectations of my business partners. I would like to tell you that your multilingual skills as well as your profound knowledge of real estate on Mallorca, greatly impressed me. I now feel prepared to take the plunge and build my own villa on Mallorca with Minkner Partner’s’ support and the assistance of your extensive network of suppliers. You have already provided me with an excellent plot with wonderful sea views on which to build my property, now it is time to move on and plan my build. I am pleased and grateful for the support provided by the expertise of your team moving forward on Mallorca. I have already told friends of my experience with Minkner & Partner and they are very interested! We will certainly do more business on Mallorca.